Sweatshirt/ jumper/ cardigan (blue), polo shirt (white, grey or blue) or shirt (white). Boys – grey trousers or shorts. Girls – grey skirt, pinafore, trousers, shorts or blue and white dress. Optional – School fleece. Children are welcome to wear a school fleece as an outdoor jacket only. Fleeces are not worn indoors, as they can be too hot. 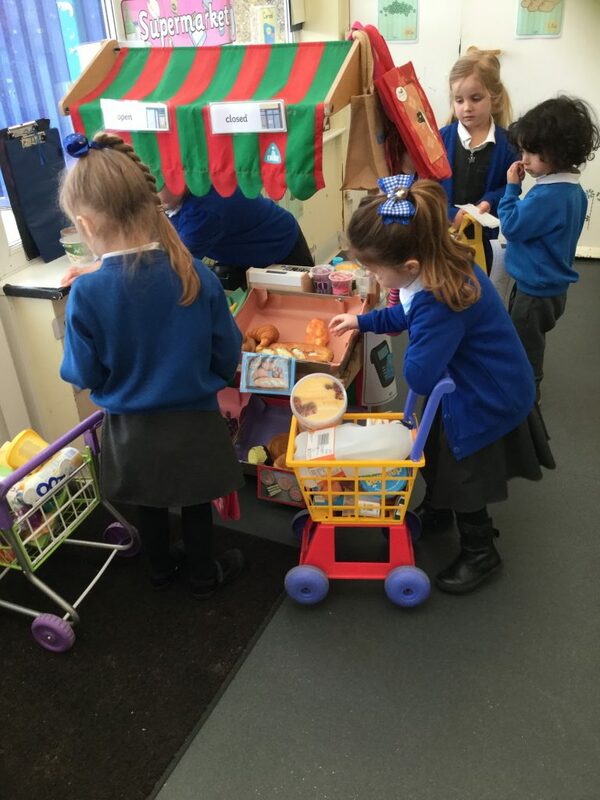 We encourage children to be independent, so clothes without too many buttons, belts etc. are easiest for them to manage. Uniform does not have to have the school logo on it. Uniform with the school logo is available locally from Cladish in Wallington. It is also possible to order our uniform with the school logo from the online service yourschooluniform.com. Shoes need to be sensible and functional but can be any colour. Children need to be able to get the shoes on and off themselves and, if they have laces, to be able to tie them themselves. We expect children to wear shoes, not trainers. In summer children can wear sandals which cover their toes and with backs so that they can climb and use equipment safely. In very wet weather children are welcome to wear wellingtons as they walk to school and to change into shoes in the classrooms. Please avoid sending children to school in winter boots, as even in cold weather children are not comfortable in winter boots for the whole day. 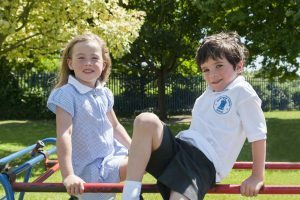 Children in Nursery and Reception do not need a separate PE Kit. Children in Years 1 and 2 need a short sleeved t-shirt (not a very loose one as it may get caught in equipment). T-shirts can be any colour but no tassels etc please. A pair of black elasticated plimsolls, a pair of shorts (not baggy shorts as they get caught on the equipment, any colour) and a cloth bag with a draw string in which to keep the kit. The P.E. kit and the bag can be any colour. Jewellery: Children do not wear jewellery at school. The only exception is small stud earrings (if necessary) but these must not be worn on days when your child has PE or is attending an after school sports club, for health and safety reasons. 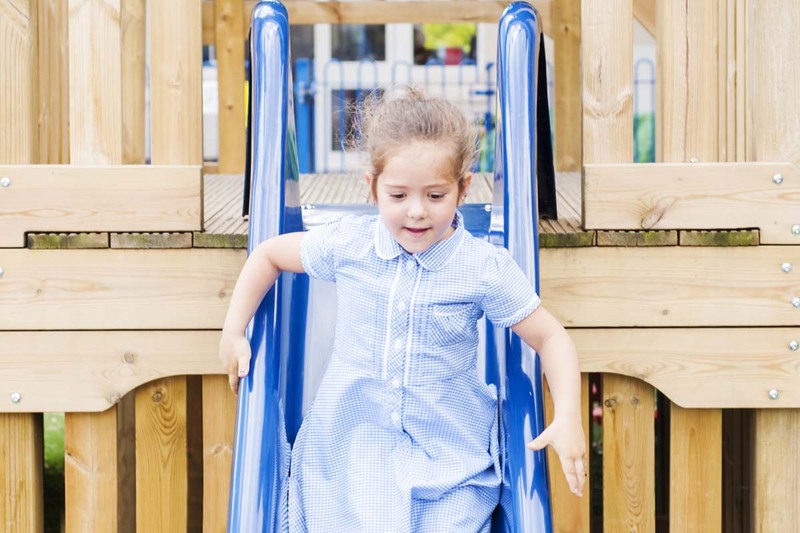 As learning takes place both inside and outside for children in all year groups it is important that children always have a coat in school, ideally waterproof unless it is really hot weather. Coats need a good loop so that they can be hung up properly. Coats without loops do not stay on pegs. Each class has its own cloakroom. Each child should have a named sun hat which is kept at school for outdoor learning and playtimes. Hats can be any colour. Children in Nursery and Reception are asked to bring in a pair of wellingtons to be left in school to use on wet days. They can be any colour or pattern. Please make sure that all items of clothing are clearly named — it is very difficult to track down an unmarked blue sweatshirt! It is necessary to name each glove, scarf etc so that lost items can find their way back to your child. If you write the name with a pen please check it from time to time as the name fades. Please click on the links below to read the ethical trading statements for the uniform suppliers we use.